WHO GETS STIs AND WHY? 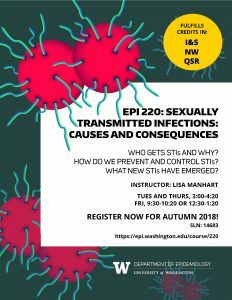 HOW DO WE PREVENT AND CONTROL STIs? WHAT NEW STIs HAVE EMERGED? 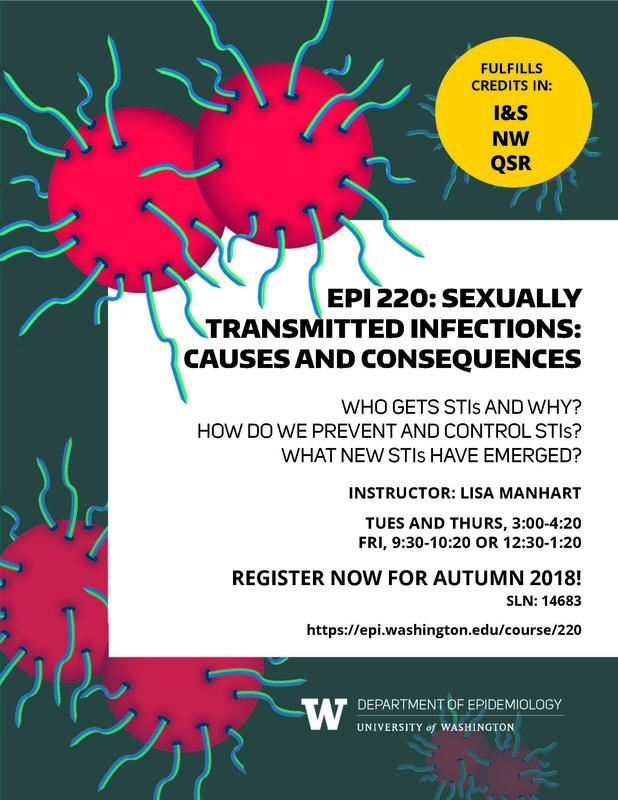 REGISTER NOW FOR AUTUMN 2018! 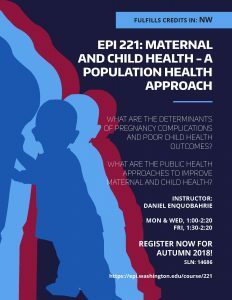 WHAT ARE THE DETERMINANTS OF PREGNANCY COMPLICATIONS AND POOR CHILD HEALTH OUTCOMES? WHAT ARE THE PUBLIC HEALTH APPROACHES TO IMPROVE MATERNAL AND CHILD HEALTH?